No GMO?s, Paraben Free, Sulfate Free and Gluten Free. MOISTURIZE & HELP REPAIR DAMAGED AND REPAIR DRY SKIN. We Don?t Test Our Products on Animals. It Sinks In Instantly and Makes Your Skin Feel Velvety Soft. Natural Formula Helps Sooth Your Skin, Relieve Itchiness & Dryness. Works Great on all Skin Types. 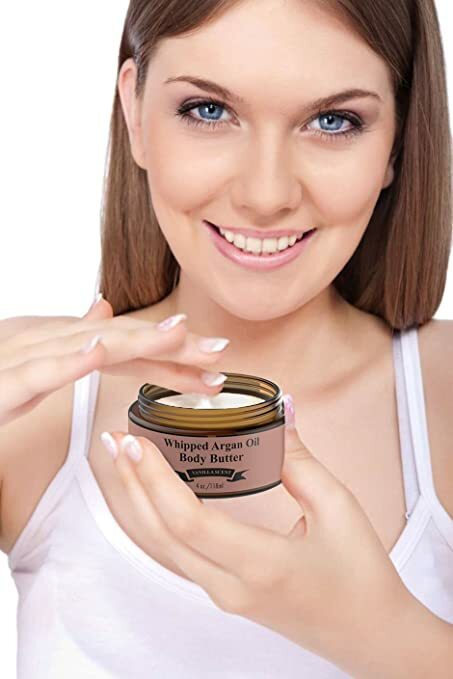 Soften and Hydrate Your Skin with a Silky, Creamy Body Butter that Smells Great and Gives Relief to the Driest Skin. NATURAL INGREDIENTS HELPS REPAIR DAMAGE AND PROTECTS YOUR SKIN FROM DRYNESS.